With iOS 11 developer Beta 2 underway, coders around the globe are ever so excited to get down to building software that utilizes an array of new features that were announced at the WWDC 2017. Developer account holders have had only about three weeks to come up with iOS 11 apps, since the first beta launched, but we already have some exciting stuff in the AR category that really get us excited about ARKit’s potential. Two recent posts on Twitter show videos of a measuring app that is bound to make you go “Whaaat?!”. At least we did. What really wows you are the smoothness and dynamics of the superimposition of elements, as well as the fact that no external hardware is involved in the whole ordeal. One of the videos shows how you can use your smartphone’s camera to measure length by dropping pins on a surface and getting an astonishingly accurate measurement of the length between them, displayed as a floating 3D hologram. It’s kind of insane, if you think about it. The AR app also has no problem with shifting angles or distance to the objects you are measuring, and apparently adjusts itself to the right proportions of what the camera sees. The second video is even cooler than the first and shows how you can set a starting point for measurement, and then just drag your phone along the surface you want to measure. The app generates a hologram of a measuring tape on your screen that starts running in a vector line along the surface, looking ridiculously real and accurate in its count of length. As Apple “changed the phone forever”, one would question whether such AR-enabled apps might initiate a whole new era of changing things forever, starting with simple objects, such as measuring tape. Google’s Tango project, which is basically an AR platform that uses specific hardware gadgets to provide detailed AR-based feedback on your mobile device, also holds massive potential in the field. Tango obtains real-life measurements of your environment and lets you play around with virtual objects in your cam’s visual field, as if they were really there. However, the software is still somewhat glitchy and crashy, and lacks a sufficiently large enough pool of integrated apps. In this regard, what we have seen in the iOS corner so far, and the lack of requirement for additional hardware, make us ponder on whether Apple’s ARKit won’t be the next big thing for the company’s customers. Even though we are still a few months away from iOS 11’s release, its Beta-developed features are already giving us too much to think and talk about. Nifty. I wonder if they're going to build in full 3d photogrammetry so you can scan real world objects into your phone and import them into 3d cad. The iphone 8 imageing capabilities and features are going to be...MAD. Based on what we've seen so far, I can't wait! This.....I'm all for Android phones, but why hasn't Samsung or Google or Lg, or HTC come up with tech like this?! Please Google bring this to Android without tango hardware requirements like Apple has. Atleast bring it to flagship Android phones like Pixel and S8?! I want Android to beat Apple to AR, but unfortunately thats unlikely to happen. Its too late now, this is apples turf. Nothing is too late in this industry it seems. Sometimes Apple join in too late and sometimes others. First of all Apple's ARkit requires an iPhone with an A9 or A10 SoC, and iOS 11 (which is still in beta). This also means only the following devices are supported: iPhone SE, 6s/+, 7/+, and iPad pros. Plus even Apple's own documentation talks about a degree of error because of poor or inaccurate lighting, or excessive movement. Also if you compare Tango to Apple's ARkit. Tango has a much higher degree of accuracy, and can generate point maps. Remember Tango uses 3 cameras to get it's accuracy, plus accelerometer and gyroscope. Apple's ARkit is uses a single camera, and it's motion processor (accelerometer and gyroscope). It's literally comparing Apples to Oranges​. I assumed that this would need two cameras to be able to gauge the distance. Any idea whether it works at longer distances too? Actually Google have Project Tango that is much more Advanced and accurate then Apple. You need to read about it end Zenfone AR of Asus. ARKit seems to be Apple's way of getting developers excited and working on apps for millions of iOS devices already in the wild. 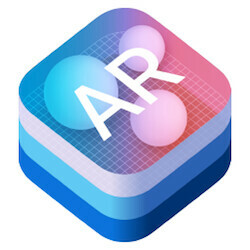 It feel like this is Apple's step 1 of a long term plan, and that next year we will get the second act with a new hardware to take advantage of all the new ar apps. Sort of like when the iPhone 5S introduced touch id, only to be follow by ApplePay the following year. To quote Steve B. this is all about "developers, developers, developer." Google and Microsoft have their AR things going but non of them are anywhere ready to get number of developer supports ARKit will bring to Apple's way. While Google and Microsoft are working to perfect their AR products, Apple will grab all the developer supports while their also working on perfecting their AR product. It's a great move by Apple, I have to say I did not see that coming. I always thought they would require new hardware to take advantage of this. The fact that folks can do this with an iPhone 6S from 2015 will give them a head start. Exciting times ahead, can't wait to see how Microsoft and Google respond to this. The Arkit is just off the charts and whats more, its just so easy and seamless even without the ip8's hardware. Now indie developers are coming up with apps that would ordinary take a team an otherwise few weeks to months to perfect. I can only imagine the crazy potentials of this especially seeing as apple has developer support on its side. You definitely should get Phil Schiller's job when he retires. Your PA comments are all you nees to put on your resume'. Seems awesome, I can't wait to try it. Finalflash's Nintendo 3DS already did this...Nothing new. The 3DS used AR cards and wasn't nearly this advanced or developer friendly. That's pretty cool. We wrote an app in-house that does similar. But you don't have to place points. Our app uses the Camera API in Android, and it uses the sea-level of your standing position, and you point camera at any object, and it will give height or distance to object. It is nearly exact to within 1/16th of an inch. An example of its use - We may be inside a 3 story mall where we are spotting mounting location for Access Points, security cameras or similar. We point the camera at location and the measurement shows on the screen. We tried to write the same for iOS, but Apple doesn't allow the same access to the camera API yet. But it will be available with iOS 11. We were not able to do this on Android prior too Lollipop. Nice. This is a hit for Apple. I can see this being used frequently, However, isn't Project Tango a test - bed platform for what will be release in the next version of Android? So, Android users will probably see the same functionality shortly. I may be wrong on this if anyone here knows more details on this please enlighten me. and again Kudos to Apple for this really great implementation. Project Tango much more advanced and accurate than Apple AR. You need to see what Google showed in thair last Keynote. And check-out the Zenfone AR that come with this technology. Now this is awesome. Can't wait to see more development around this. Apple is set to change the mobile landscape once again with this. Let all the haters cry a river of salty tears while I get butthurt report forms ready. I appreciate your first sentence and you're excited about the tech but I cant see the point of the second sentence apart from to intentionally wind people up. We can do without that kind of attitude on here, there's far too much of it. It just makes you look immature. I can tell by your rambling on that you're butthurt by my comment. One butthurt report form for you coming up.